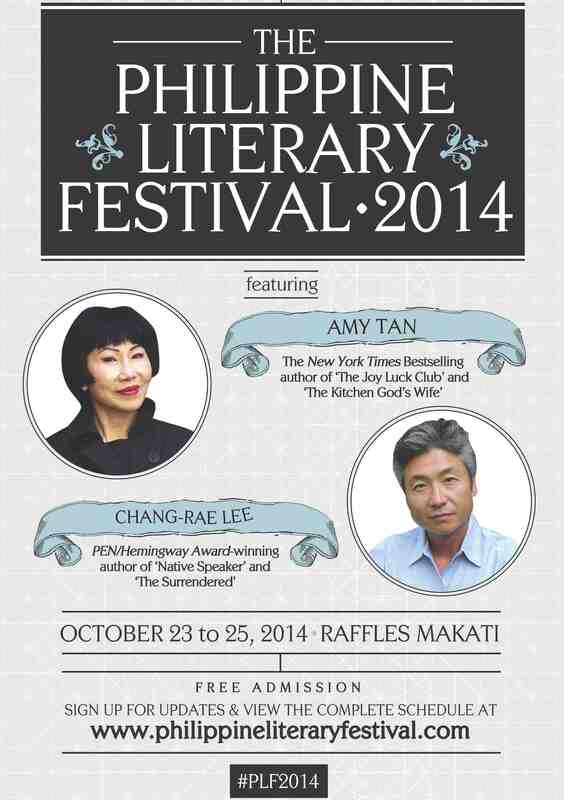 The Author Spotlight featuring Amy Tan will be on October 24 at 1:30 p.m, Raffles Hotel Makati and her book signing will be on October 25 at 2 p.m. The Author Spotlight featuring Chang-Rae and book signing will be on October 25 at 9 a.m. View the complete schedule and get details of all events at philippineliteraryfestival.com. All events will be held at the Raffles Makati. Registration opens at 8:00 a.m. from October 23 to 25 at the Raffles Makati. Each guest will be asked to fill out the registration form upon arrival. Separate registrations for each event is required should you wish to attend all events. First come, first served. There is no registration fee. Admission is free.